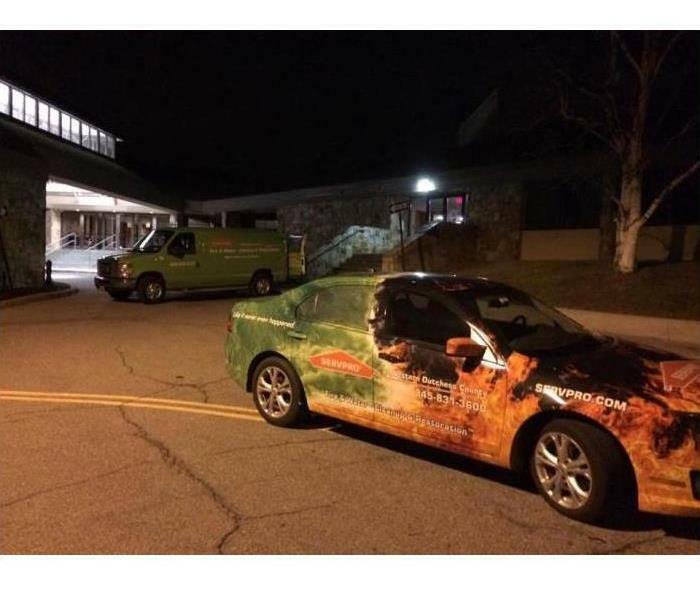 -Call your insurance company, put in the claim and they'll tell you to call us, SERVPRO of Kingston/New Paltz, store us in your phone 845-255-4334 and we'll be on our way to you in no time, we're faster to any size disaster! Call us 24/7 no matter the size of the damage, 845-255-4334. Biohazards like flood water or sewer backups should be considered an emergency and dealt with as quickly as possible. SERVPRO of Kingston / New Paltz has water damage restoration specialists and has specific training and expertise to safely remediate biohazard contaminants.